Heat oven to 350 degrees. 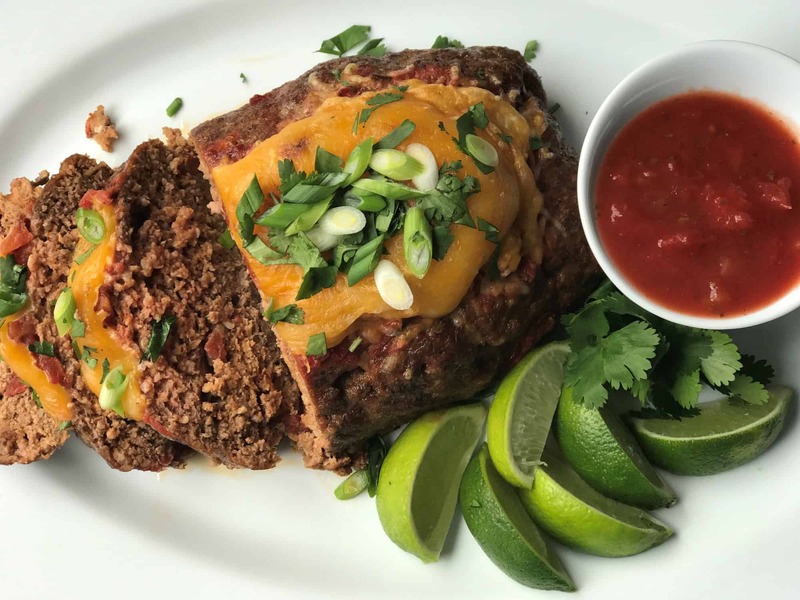 In a large bowl, gently blend together the hamburger, ground pork, ½ cup El Sol Homestyle Salsa, masa corn flour, eggs, cumin, chili powder and smoked paprika. Form into a loaf and place on a baking sheet lined with parchment paper. Top the loaf with 3 tablespoons of El Sol Homestyle Salsa and bake for 60 minutes or until the internal temperature reaches 160 degrees. Turn the oven to broil. Top the meatloaf with the shredded Mexican cheese and return to the oven under the broiler. Watch carefully as the cheese melts and slightly bubbles and browns. This may take only a couple of minutes but depends upon your oven. Top the cheese with the minced cilantro and chopped green onion. Slice and serve with optional ingredients as desired.